SharePoint 2013 Farm setup–and we are off! Like many other SharePointies, I’ve decided to setup a lab environment so I can play around with the new features first hand. Lucky, my mate Andrew Connell has an excellent guide on getting setup for a development environment. This takes you through the process from end-to-end. I already have a Hyper-V environment and a dedicated SQL server, so I could skip stright to installing SharePoint. I created a new vm using Windows Server 2012 as the OS. I still don’t get why MS do not include buttons instead of requiring the mouse to be in specific location of the bottom left/right corner. The majority of admins remote to their servers, so this is nothing but a pain. Anyways, enough about that, Microsoft probably spent millions over this very topic, so I’ll just suffer until popular demand forces them to add them in an a service pack . My plan is to follow best practices and use an install account and a farm account to get started. The install account has dbcreator and security admin roles in SQL. After successfully running the pre-config and getting all the required roles and bits in place, I ran the installer. All is good so far. Next I get to configure SharePoint 2013. For 2010, I would skip to using PowerShell at this point, but I want to see what the config wizard does for SharePoint 2013. Oh look, you can define your Config database name. how novel! I do that, and provide the rest of the configuration values and of I go. An exception of type Microsoft.SharePoint.SPException was thrown… This SQL Server instance does not have the required “max degree of parallelism” setting of 1. Database provisioning operations will continue to fail if “max degree of parallelism” is not set to 1 or the current account does not have permissions to change the setting. See my other post on this issue and how to get over it. Ugh. Again with the GUIDs. Ok, back to Central Admin. First Question: Do I want to sign up for the customer experience Improvement Program. No. Second Question: How do you want to configure your SharePoint farm? Wizard or manually? Again, I’d normally do this with PowerShell, but I want ot see how te wizard does, so wizard it is. I also specify a dedicated services application account. Though the services wizard only allows you to specify one service account, in a production environment, I would use several. 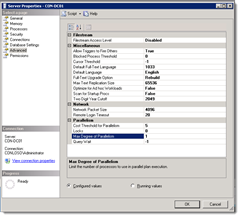 Other than Access, BDC, Lotus notes Connector, Machine Translation, PerformancePoint, PowerPoint conversion, and Word Conversion, I am going to have the wizard create the rest. SharePoint 2013 is now working on it and is sorry to keep us waiting. Glad to see the following hasn’t changed from 2010. My buddy James Sturges crack us every time he sees this. It take a while for the wizard to complete. But you will know it’s working as you watch several database with GUIDs in the name get created. Lovely. Eventually, you are asked to create a site collection. I’m going to go ahead and create one at the root site. I’m going to use the 2013 experience and use the publishing portal template. After the site collection wizard is complete, I am brought back to Central Admin home page. This option sets the maximum number of processors SQL Server can use for one query. If SQL Server has to bring back a lot of data (lots of rows) for a query it sometimes makes sense to break the query down into a number of smaller queries, each query returning a subset of the total rows. This way SQL Server can make use of more than processor and hence on multi processor boxes it can potentially return a lot of rows more quickly, for a given query, than it can on a single processor box. The default value of 0 will allow SQL to use all of the processors for parallelism. Setting this value to 1 will basically disable parallel planning, with only one processor being used. Ok, so lets’ set it to 1 and get back to business. From SQL server management Studio, right click your server in Object Explorer and click Properties. Under the Advanced group modify the property “Max Degree of Parallelism”. Because the database was already created, I will need to delete and re-create it and run the config wizard again. Note: Were I using a highly privileged account (like farm, or domain admin) I would not have come across this error as SharePoint would simply have changed the value for me without me knowing. This is why I follow least privilege practices even in my lab. Setting this to 1 got made SharePoint happy and the configuration continued normally. When installing SharePoint, one of the first things you have to do is enter a license key. For most companies this is not even a consideration, it’s either a standard license or an enterprise license. Check out the Microsoft SharePoint 2010 feature matrix to see what enterprise gets you. So, what if you want to deploy a hybrid model and have some users on standard and some users on enterprise? Well it gets tricky. For large companies this is a situation that is not as uncommon as you might think. Once you active the enterprise license, you cannot revert your farm to a standard license. With that in mind, how do you maintain both sets of licenses? I won’t get into the details of licensing and cost – that’s for you to work out with your Microsoft account manager . I will however touch on how can you govern it technically. So how are enterprise features implemented? A Site collection feature called SharePoint Server Enterprise Site Collection features will enable all the additional features that comes with Enterprise for that site collection. By default this is disabled, unless you chose to have it enabled through Central Admin (Upgrade and Migration > Enable Enterprise Features). Enterprise includes several service applications including excel services, access services, etc. Web applications that are associated with these services can put them to use. See the feature matrix for all the services that are included. So how to make the most of a hybrid deployment and stay in compliance? Well this is where it gets tricky. There are several configurations you can consider, but you also need the support and compliance of your site owners. Web Applications – To maintain a hybrid license model, you need to do so at the web application level. Target your features per web application. i.e. A web application can have standard features or enterprise features. By doing so you can restrict the service applications available. Proxy Groups – Separate your service applications into proxy groups. do not mix features that are enterprise with standard in the same group. Apply the proxy groups to the web applications accordingly. 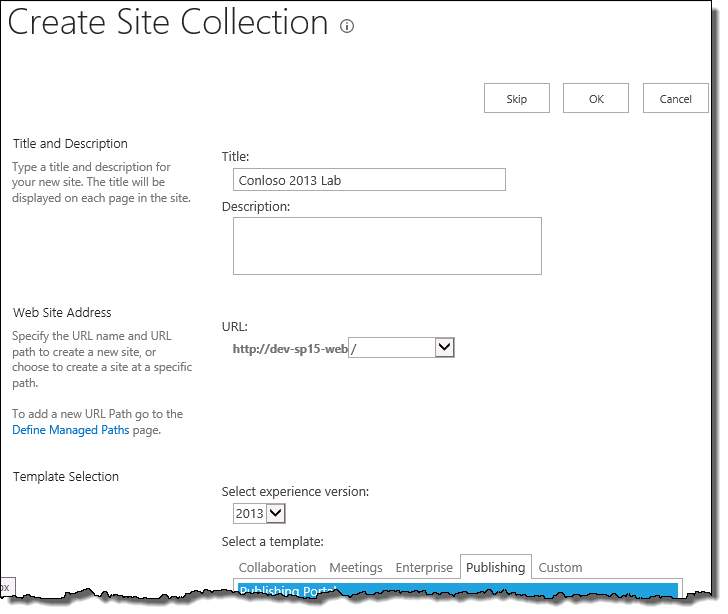 Site Collections – Do not enable the site collection feature to automatically enable enterprise features. Enable this only for sites that need it. Technical governance will only get you so far, users are smart and can often find ways around your limitations. Site Collection Administrators – Consider restricting the SA admins to the IT group. Educate your admins on licensing and feature enabling. If you do give over SA admin to your users, ensure they know that if they go outside their license, it may be revoked. Or if they really need the enterprise features, they provide a case for it. And of course there’s always custom solutions to ensure enterprise features are never enabled. Brian Edwards has a great article that gets into much more detail. You should check it out.